First Official Presidential Portrait. 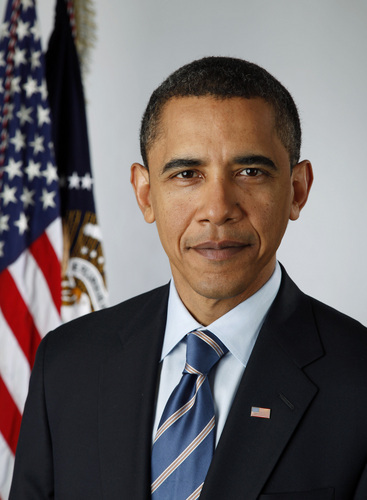 Today we are releasing the new official portrait for President Barack Obama. It was taken oleh Pete Souza, the newly-announced official White House photographer. It is the first time that an official presidential portrait was taken with a digital camera.. HD Wallpaper and background images in the Barack Obama club tagged: portrait official white house. This Barack Obama photo contains setelan jas untuk bekerja, setelan bisnis, jas, baju pakaian, setelan, and perapi pakaian. There might also be ganda jas berkancing, jas berkancing ganda, dua bagian, dua potong, ruang duduk suit, dua bagian setelan, lounge sesuai, garis halus, and garis-garis. I'm using it in my article ...hope that's alright?! I think it should be okay as long as it's credited to the same source..the White House! Thanks, Dave, but I don't think I can give image credit. I've used the photo in the article I've written about the President. Howver, if you think it' advisable, I can insert a PS with the image credit as a footnote? actually..im not even sure what you say in english- we say moiree but im guessing thats french..
okay so according to my research its moire pattern in english..